Sheila Kirpalani was a woman of courage who fully embraced Toronto as her new home when she migrated from India in 1967. A gifted singer and artist, Sheila was also a well-respected academic who lectured at the University of Toronto and taught biology with the Toronto District School Board. But perhaps most impor­tant, Sheila was a devoted mother to her only child, a son, Dr. Anish Kirpalani. Days before she lost her battle with pan­creatic cancer in July 2009, the Sheila Kirpalani Foundation was established at the Toronto Community Foundation. 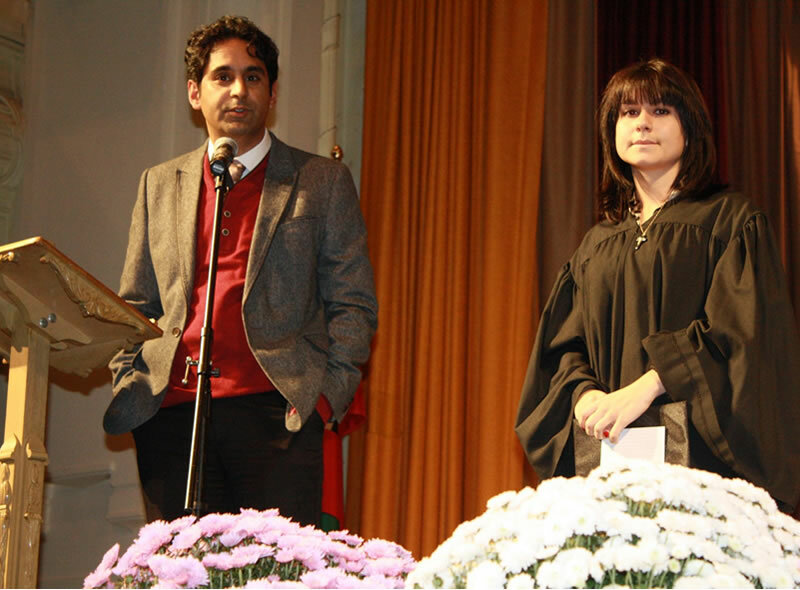 On the advice of a Professional Advisor, Anish was determined to complete this final act of love before his mother’s death to honour her life. The Sheila Kirpalani Founda­tion strives to make high-impact grants and reward excellence in three areas that characterized the important aspects of Sheila’s life: health promotion, education, and music. This is being done through a named high school scholarship in Biology, donations to promote awareness of and research in pancreatic cancer, and grants to promote development training and performance in South Asian music. The Toronto Foundation for Student Success is proud to oversee the awarding of the Sheila Kirpalani Biology Scholarship. Her spirit will live on through Anish, her music, and the students and other people that philanthropy in her name has helped. For more information on Sheila Kirpalani Biology Scholarship, please contact us. Christina Sigalas, 2012 Sheila Kirpalani Biology Scholarship winner with Dr. Anish Kirpalani. 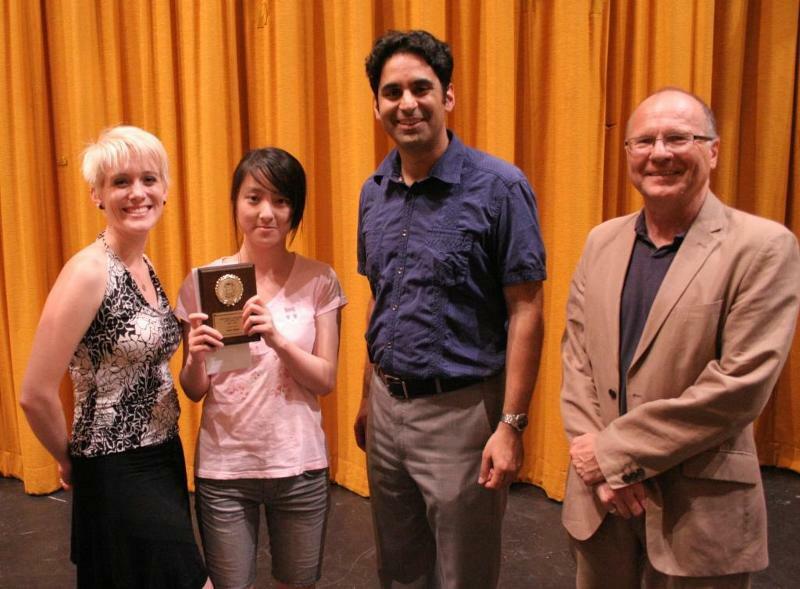 Chrissa Xu, 2011 Sheila Kirpalani Biology Scholarship winner with Dr. Anish Kirpalani. Every year Canadians are invited to participate in Black History Month festivities and events that honour the legacy of black Canadians, past and present. RBC Royal Bank® takes this time to celebrate the many achievements and contributions of black Canadians, who, throughout history, have done so much to make Canada the culturally diverse and prosperous nation we are today. During Black History Month, Canadians can gain insight into the experiences of black Canadians and the vital role this community has played throughout our shared history. High school students from Toronto who are planning to attend a college or university in Canada are eligible for this competition. A total of 20 scholarships are awarded. Seventeen $500 scholarships, and three grand prizes. First place: $5,000; second place: $2,500; third place: $1,500. The essay consists of writing in 750 words or less about how black Canadians have contributed toward the heritage of Canada. The essay can include discussion about the achievements of Black Canadians. Essays will be judged by content, organization of thoughts, spelling, grammar and punctuation. RBC was founded in 1869 and is headquartered in Toronto, Canada. They are a leading financial services company in North America. In addition, they are dedicated to providing programs that improve the lives of children and youth. The deadline for this scholarship is usually in December. See RBC’s website for details.